Finding a perfect gift for your husband can be hard so take a look at these featured gift ideas for him that we think are ideal for any occasion. From celebrating his birthday to showing your love on your wedding anniversary, we’ve included a range of husband gift ideas below which many be also be personalised for a personal touch. 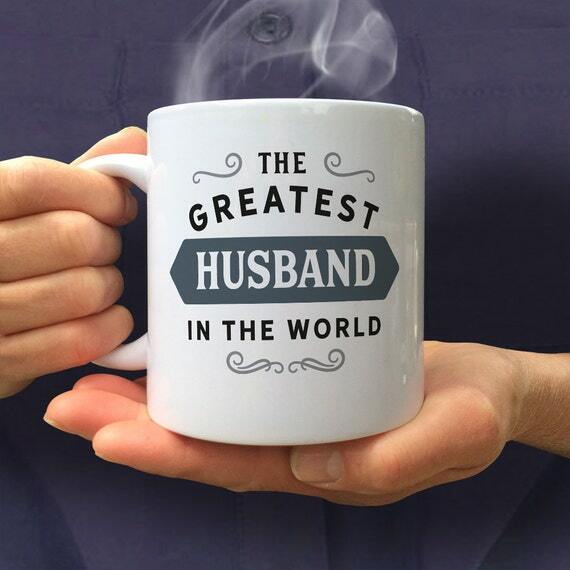 Find more gifts for him on Your Ideal Gifts including personalised mugs, clothing, iPad cases and more. 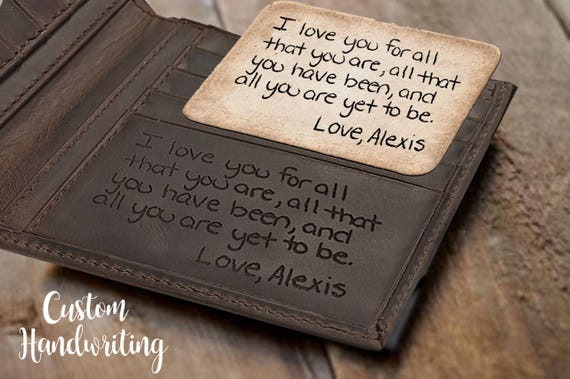 You can personalise this wallet to include your own text whether you simply want to include his name or a sweet message. 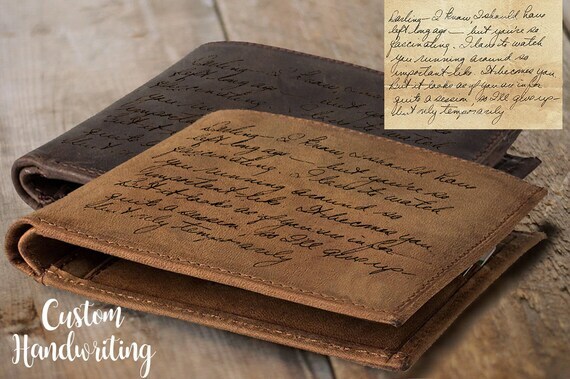 This wallet would make a great gift for birthdays or celebrating your wedding anniversary. Looking for a gift to give your hubby as a wedding gift or for him to wear while you are on your honeymoon? 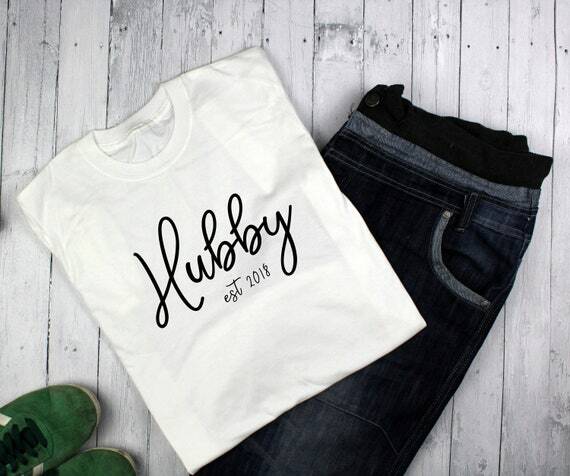 Personalise this t-shirt to include your wedding date! This t-shirt is available in a range of sizes and colours. 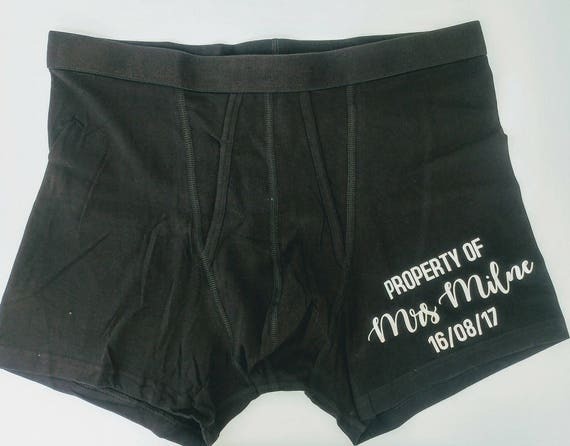 These personalised boxers would make a great keepsake for your wedding! 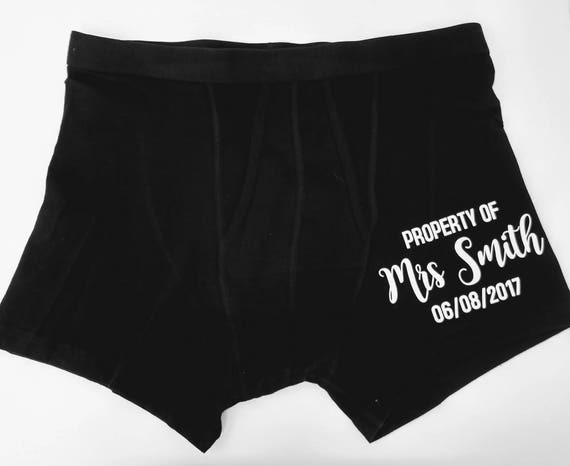 Personalise with your name, wedding date and choose the colour of the print. These boxers are available in different sizes. 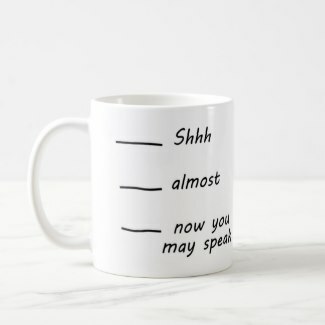 Add his name to this funny coffee mug and give as a personalised gift! If he loves coffee, he will LOVE this starter fluid mug from Zazzle! 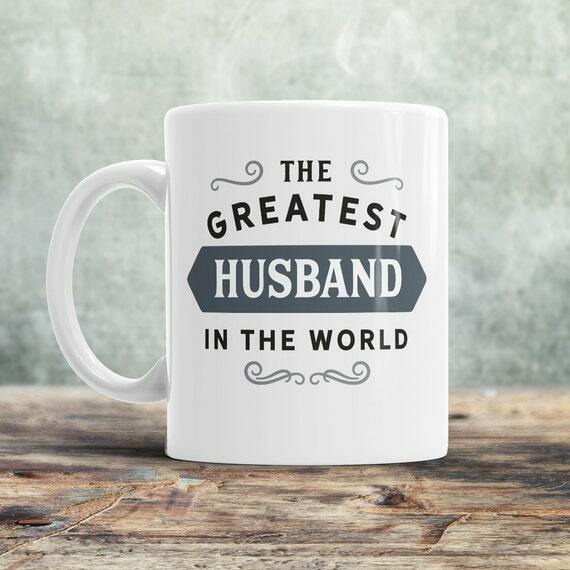 Adorable gift idea for your husband, this “The greatest husband in the world” mug is ideal for giving to your hubby for celebrating your wedding anniversary, birthday, well any occasion really! You can add his name to this wooden organizer over on Etsy making it a great personalised gift! 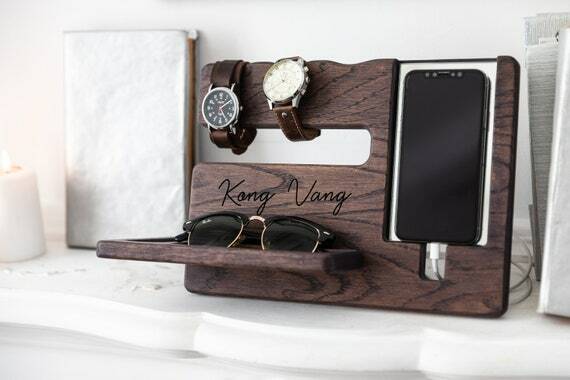 This organizer is perfect for storing his phone, glasses and watch! 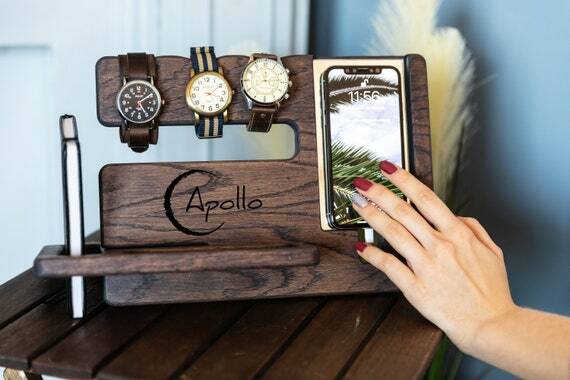 This is great for having on his bedside table or on his desk! 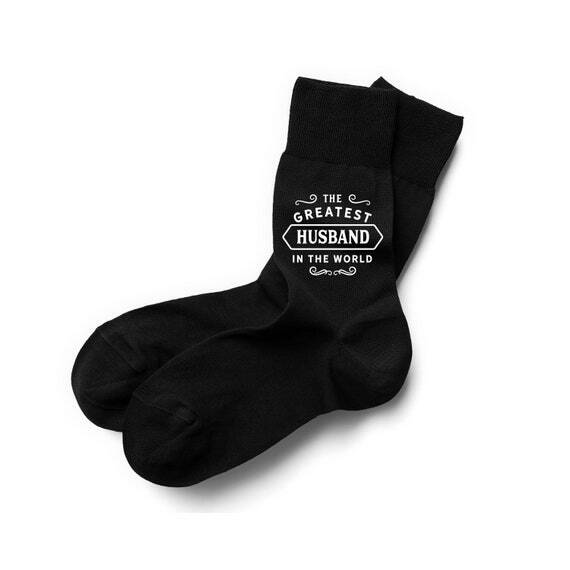 These socks are perfect for giving to your husband as a cute gift! 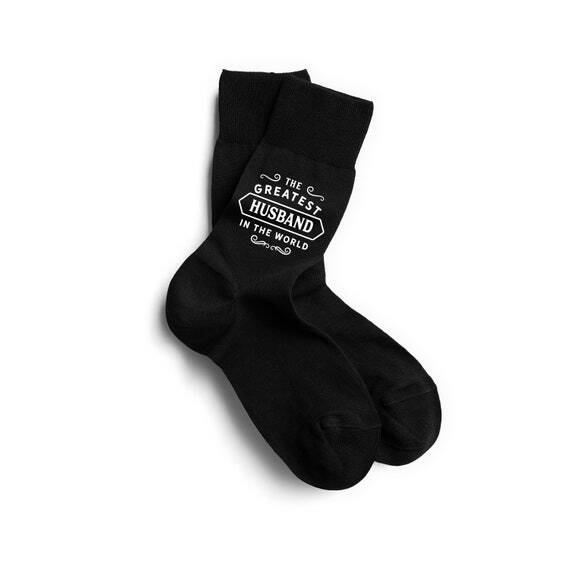 These socks are size 6-11 and are ideal for adding to his sock collection! 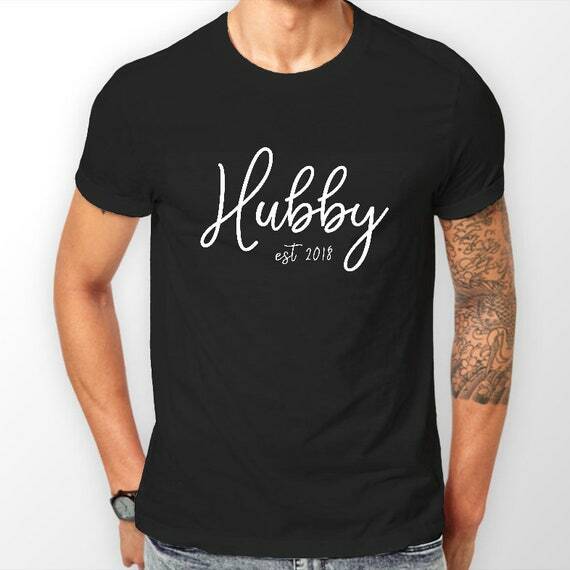 Add your husbands name to this personalised t-shirt over on Zazzle! This t-shirt is available in a range of sizes and styles so you can have this design on a t-shirt, sweatshirt and other options. There is also a range of colours for you to choose from.